A couple of months back I wrote an article titled ‘The Next Five Steps’, with the purpose of helping guys find their footing on the cliff face of men’s style. However, based on a handful of e-mails that I have received since, it seems I haven’t done my job properly. Because although you corrected the rookie mistakes you were making and started to develop the way you dressed by branching away from denim and experimenting with colour, there are still a number of you out there that are having trouble breaking the last fatal habit – the places that you shop. I touched on it briefly in the previous article by saying “don’t believe the hype” – i.e. do not be a sucker for brand names. Even though the advertising and fashion industry has led you to believe that clothing from the likes of Gucci and D&G automatically makes you stylish, that isn’t always true. Especially when you don’t understand how to buy clothes that fit you, both style- and body shape-wise. There’s also the small fact that the majority of men out there don’t have the bank balance to afford designer clothing. In reality, you don’t have to spend a fortune on clothes when you are starting out on your style journey. It’s important to aim for as good a quality as you can comfortably afford, but this can be found at a lot of low to mid price ranges anyway. Sure, it may be worth spending a bit more on tailoring – but not £400 worth. What they do best: without going a little too overboard, EVERYTHING – and at amazing prices for the quality. Most of the time, I walk in the shop and my head explodes trying to figure it out. I’m a particular fan of their Oxford cloth shirts, polo shirts with deeper plackets and chinos. 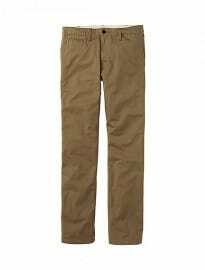 I actually picked up some olive cargo trousers from UNIQLO a few years back for £15 that were a better fit than a pair of Michael Bastian ones I tried on. Unbelievable. They’re also a shop that puts emphasis on seasonal materials, so if you’re searching for short-sleeved linen/madras shirts this summer, look no further. And when winter rolls around, check out their cashmere jumper selection – they honestly can’t be beaten. Maybe avoid: the quality of their denim isn’t ideal and, due to mass production, their cut of clothing can tend to be a bit boxy at the sides. But that’s nothing a tailor can’t fix, and for about a quarter of the price of most designers, you’re still saving. What they do best: tailoring, shirts, ties and shoes. Their suits always come with the option of a three-piece, and are available in a range of seasonal fabrics and traditionally British business colours. They also run regular offers, such as four shirts for £100, and their extra slim fit is about as close to how I like my shirts to fit outside of made to measure. Plus they do gingham dress shirts in a wide variety of colours, which is totally my jam. Whilst the shoes aren’t quite up there with Russell & Bromley, Church or Grenson, the quality of leather for the price is just too good to pass up. The place is nearly always in some sort of sale, so even if you have to wait a few months for that particular item to drop, you’ll be able to pick up plenty of key formal pieces without breaking the bank. Maybe avoid: their trousers and knitwear are cut extremely big and are just an absolute nightmare fit-wise. Also, unless you take really good care of what you buy, their clothes tend to have a limited shelf life if worn regularly. What they do best: between the two brands, I would say nearly everything. I tend to buy all of my t-shirts and polos from Gap as they fit me perfectly – not too wide yet not too slim. With enough digging you can find some really great shorts and jackets too. I have a four pocket green cotton fatigue jacket that I picked up there for about £50 which is my go-to casual spring jacket. Banana Republic is fast becoming one of my favourite places to shop, especially now that they’re in sale. 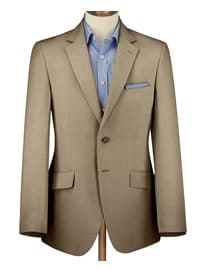 First of all, they’re the only place I’ve found that sells reasonably priced, beige cotton/linen or seersucker suits that fit a grown man. Also, largely thanks to the launch of their recent Mad Men-inspired line, you can now find a plethora of great patterned seasonal blazers for around the £100 mark or less. Their shirts (especially denim) and knitwear are other welcome additions for a guy that wants to look sharp for work without spending a fortune. Maybe avoid: at Gap, stay away from the knitwear and shirts, along with any accessories. 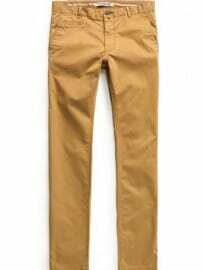 Chinos are also bit hit and miss in terms of sizing. As for Banana Republic, their jeans aren’t great and anything resembling outerwear just doesn’t do it for me. What they do best: chinos, jeans, shirts and statement pieces such as pattern jackets, colourful trousers and print shirts. They’ve not been around for very long, compared to Mango’s female range, and the brand is still a bit of a hidden gem to be honest (even though FashionBeans has done its best to raise their profile by including their excellent lookbooks in nearly every article). I’ve personally turned a lot of my friends on to this store. They always release each piece in a wide range of colours, so if you like the cut or style of a particular item, don’t be afraid to stock up. Maybe avoid: not a lot, if I’m being honest. Their more casual clothing, such as shorts, tees and the like can sometimes be a bit hit or miss, but other than that it’s fast becoming a place I regularly stop by or check out online for ideas and absolute steals. When it comes to buying anything online, it’s important to know your size and at least be a little bit familiar with the brand you’re considering purchasing. However, with most of the major online stores having great (often free) return policies, it’s not that big of a deal if an item doesn’t quite fit or suit you when it arrives. ASOS is my go-to when it comes to purchasing shoes that are for more casual purposes – be it canvas trainers or suede tassel loafers – but they also have a huge range of clothing and designers at various price points, so you would be mad not to check it regularly, especially in sale. Their own brand ASOS clothing is also getting better and better each and every season, with prices that rival even the most affordable high street shops. YOOX is a far more precocious affair, but I treat it similarly to vintage and second-hand shopping: with enough regular digging you can find some fantastic Italian soft shoulder jackets and other tailoring for a fraction of the usual price. 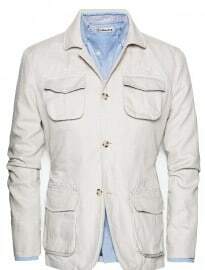 Finally, Mr. Porter, when in sale, simply cannot be beaten – no matter which way you look at it. It’s just a case of being ready when the sale launches and being willing to spend a little more than usual for some really great pieces. I’d recommend signing up to their newsletter as well, because they keep customers up to date with sale launches and free shipping offers etc. So there you have it, my top five retailers to shop on a budget in the UK. Honourable shout-outs should also go to H&M, Zara and the gold mine that is eBay. Hopefully this list should help the beginners refrain from spending a small fortune on an even smaller wardrobe, and instead shift their focus on nailing their basics in an affordable manner. But, as always, I want to hear what you have to say. Do you agree with the list I’ve put together? What other shops should I have included? For those outside of the UK, where do you go for affordable but great quality clothing?